Are you wondering what to do for your next party, office gathering or casual event? Grab your friends and head to The Alley for a fun-filled, great night of bowling and billiards. We offer Twilight bowling, 8 @ 8 on Tuesdays and Sunday Funday. 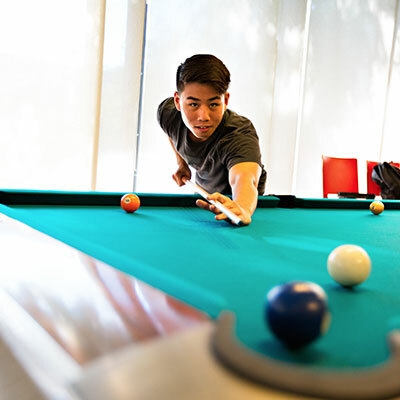 Come enjoy a cozy atmosphere by showing off your skills at our 16-lane facility with automatic scoring, or cue up at our 8 pool-tables that will keep you delighted for hours. Our prices will knock your socks off. Come check out some of the changes we’ve made. We’ve installed new lighting, new flooring, new colors and a new check-in desk. More to come. Bowl in our 16-lane center, play billiards on one of 9 regulation tables. 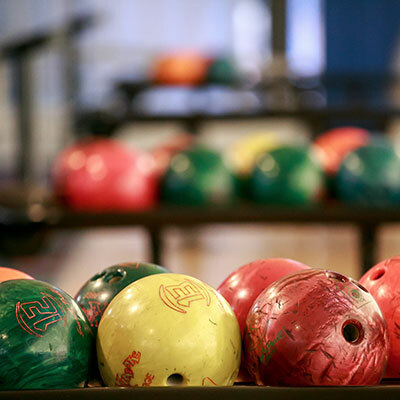 The Alley Games & Bowling Center is available for open play to the general public as well. Gutter bumpers are available for children. Call the staff at 312-413-5170 for availability and more information. Bowl in our 16-lane center, play pocket billiards on one of 9 regulation tables, or play our video games and air hockey tables in our arcade.